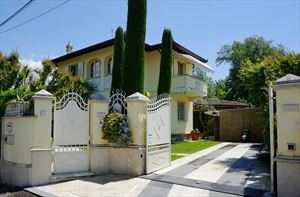 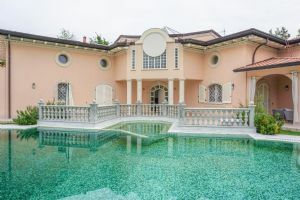 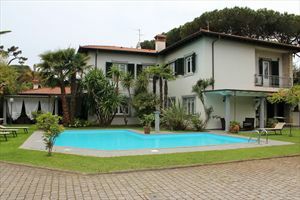 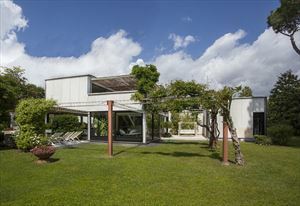 Spacious historic Villa with a large park of around two thousand three hundred square meters, located in the greenery of the Roma Imperiale area of Forte dei Marmi, just five hundred meters from the sea. 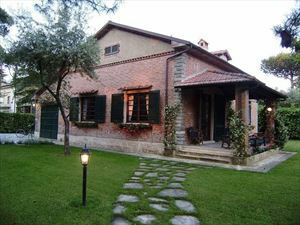 Main entrance with guest bathroom attached, large hall with lounge, fireplace, and dining table, with access to a veranda, also with dining table. 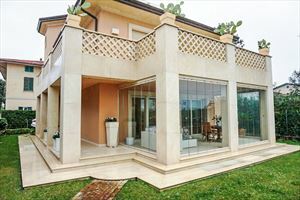 Kitchen with pantry and double access, also from the outside, double bedroom with bathroom with shower. 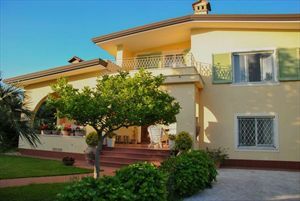 The first floor comprises a double bedroom with private bathroom with shower, a double room with private balcony and bathroom with shower, and two double rooms with common hall and bathroom with bathtub, one having its own balcony, the other with a large terrace. 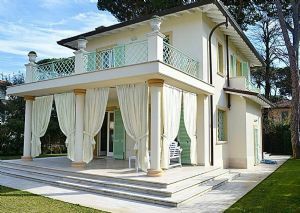 The Villa is also equipped with several parking spaces, an outdoor gazebo and outdoor umbrellas.